Pan Chrzan is the main hero of Slavs and Tatars’ body of work on Pickle Politics. 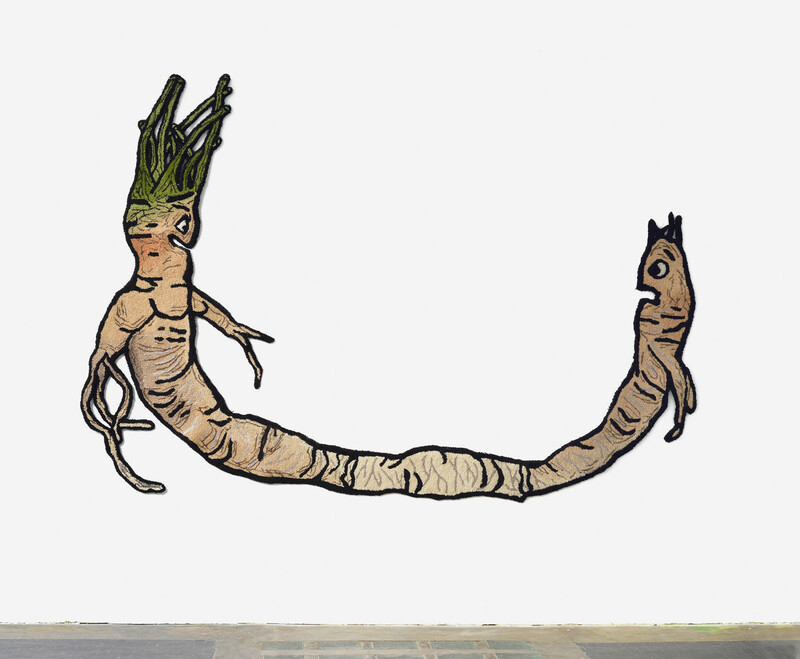 A transnational root indigenous to Eastern Europe and Western Asia, the horseradish best exemplifies the push and pull, the attraction and repulsion necessary to reconsider and move beyond the reductive and confrontational thinking of our age. Railing against binaries, Pan Chrzan–a two headed anthropomorphic horseradish–features a tail which speaks to its head, perverting the dualism of Enlightenment thinking.